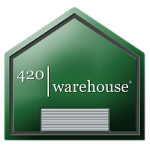 420 Packaging is a supplier of various grow equipment, dispensary equipment and so much more for the marijuana industry. Based in Los Angeles, CA, Bio Hazard Inc. is one of the nation’s largest distributors for water pipes, pipes, and accessories. Since being established in 2007, we have become a wholesale distributor of quick-selling, high-demand items in the industry. We strive to stay innovative and maintain quality products at a minimal price. We know and believe that the products we provide are the essence of your business that will help bring in foot traffic and consistent sales to help your business grow. To provide customers with quality products and services, we pride ourselves with the fact that our glass blowers are hard working, innovative artists. Rest assured, your glass is always in good hands. Website Address: Bio Hazard Inc. Collective Supply™ was established in October 2011 with the purpose of providing the most efficient distribution of compliant packaging and supplies for cannabis-related products. Since our inception, we have focused heavily on creating a superior supply chain and providing our customers with unrivaled customer service. We created a scalable model that can quickly be implemented into new markets to take full advantage of the exponential growth opportunities in this industry. Moreover, unlike many of our competitors, we adhere to and often set the precedent for compliant products. Our goal is to blaze the trail for cannabis-related packaging and implement products that are child resistant, meet ASTM standards and achieve CPSC certifications, and made specifically to meet the demands of the cannabis industry! We pride ourselves on being proactive in the industry and strive to offer our customers the best quality products that meet, or exceed, state-specific packaging regulations. As the industry continues to progress, we view it as our responsibility to keep you, our valued customers, in compliance with the ever-changing packaging guidelines and regulations in your state. Collective Supply™ is 100% patient owned and operated and maintains a strong presence in the advocacy for medical and recreational marijuana rights nationwide! The foundation of our business is built on customer service. We take great pride in delivering a quality product in a timely manner, with a smile! The track record of Cultivation Suppliers is the strongest in the industry. They’ve produced over 430 educational videos with over 7 million views and over 15,000,000 minutes watched. They are professional educators and have conducted extensive product testing to ensure results. They have over 350 cultivation centers they work with on everything from nutrients, to lighting, mediums, and specialized support equipment. As bulk consumable product suppliers, they also provide their clients free garden consulting and technical support with direct access to their Certified Crop Advisors. They can supply a better value than buying direct from a manufacturer. Their team currently provides onsite garden consulting throughout the U.S. and Canada. Their team takes all critical factors into account when designing custom greenhouse and warehouse facilities. They realize that many of these factors will dictate the proper workflow and BOD (basis of design) necessary to support your production goals. Their most typical projects are multi-use production centers that feature a fully integrated design that incorporates host plants, propagation, vegetative growth, flowering, processing, drying/curing, extraction and packaging on-site. In this situation, the cultivation site design will securely accommodate storage of both consumable horticulture products and plant-derived products in a warehouse space that we can design with your greenhouse(s). Their designs can also include secondary elements that support cultivation such as security, administrative office spaces, break rooms, decontamination systems/areas, restrooms, security stations, quarantine zones, extraction lab(s), pathology, warehousing, R&D rooms, etc..
Their design protocols will include complete IPM measures and workflow protocols to accommodate the entire site. They will identify and address power supply needs as well as the complete environmental system. Their team will address the other important aspects of cultivation including harvest and post-harvest production. Their team will design and supply everything you need for your lab. Cultivation Suppliers also has an Extract Expert on staff to help with the final product. Dispensary Depot provides a lot of products used in marijuana dispensaries such as vials, smellproof containers, hash containers, labels, humidibags and many more. Fuss & O’Neill traces its roots to 1924 as a local survey practice founded by Hayden Griswold, Sr. Growth in the 1960s and 1970s added expertise in land development, transportation, structures, water and sewer systems, and water resources. In 1967 the firm became Griswold & Fuss, and then Fuss & O’Neill in the late 1970s. The early 1980s saw expansion into emerging fields of environmental compliance and permitting, and site assessment and remediation. Today the company continues to expand its expertise as engineering innovation and technological advances unfold. Fuss & O’Neill chooses to partner with like-minded firms who share a sense of the greater purpose of the work that we do for our clients and in our communities. We work on engagements that require high-quality consulting engineering expertise, whether it’s a discrete service or a more involved relationship. Our engineers, scientists and planners bring decades of experience delivering integrated services across our multiple disciplines, which allows us to provide a level of insight and best practices that adds to the overall quality of the project. Our three Limited Liability Companies bring their own expression of focused diversity to our organization, adding another layer of collaboration to bring the best possible results for our clients. As a company that offers a diverse group of services over multiple disciplines, we bring a considerable amount of project- and industry-specific knowledge that allows us to be efficient, creative and cost-effective. Fuss & O’Neill has both the technical expertise that highly technical projects require, and the hands-on knowledge that it takes to successfully manage every detail.